Pocketchange.become.com featured Ri(t)ch Styles on their BE IN STYLE blog as a part of their Best of the Web, a weekly series recognizing the most informative blogs on the web. And here's to many more features in the coming year :) Amen! 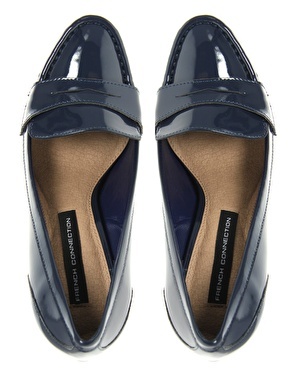 I have been wanting to get myself heeled loafers for a while now and these blue ones fit the bill more than my expectations.... I'm going to get my hands on these platform heeled loafers by French Connection with high stiletto heels very very soon! ﻿Check these out on ASOS for 115 GBP.